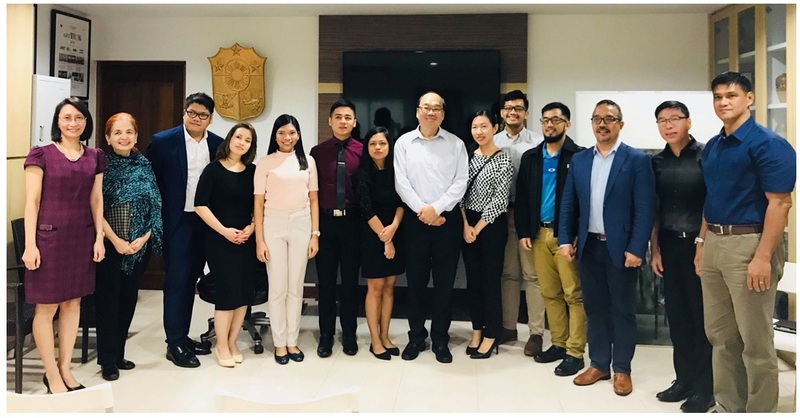 The Philippine Embassy hosted a get-together with Filipino graduate students from Nanyang Technological University (NTU) on 9 November 2018. Three Filipino students are taking up MSc International Relations, two are studying MSc Strategic Studies, one is an MSc in International Political Economy student and another one is a PhD candidate who are all from S. Rajaratnam School of International Studies. The Embassy officials, headed by Ambassador Joseph del Mar Yap, briefed the Filipino scholars on the functions of the various Embassy sections, including the attached agencies such as the Philippine Trade and Investment Center, Philippine Overseas Labor Office and the Office of the Defense and Armed Forces Attaché. A very active and interesting discussion then took place between the Filipino scholars and the Embassy officials on various bilateral issues affecting the Philippines. The Embassy is hoping to organize another get-together with Filipino scholars from the National University of Singapore and the Lee Kuan Yew School of Public Policy as part of its education and public diplomacy thrusts.